It’s 10-days before Christmas day! Last weekend, I’ve been clearing out these old magazines when suddenly something pops in my head. 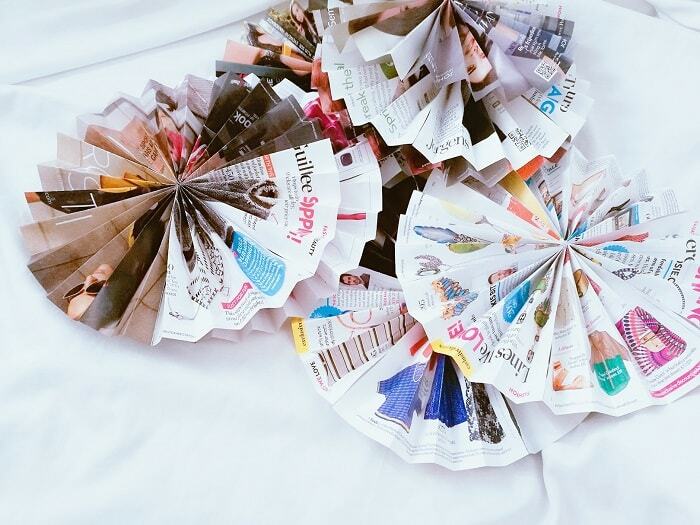 I thought why not make something creative than throwing out these old magazines? So ladies for today I’m going to teach you how to make your own Christmas décor that won’t hurt your allotted Christmas budget. And yes, it is also space savvy, perfect for all condo-dwellers like me! But first, hoard all those old magazines that you have, you can also use those old newspapers, but please spare your brother’s comics collection, hahaha. 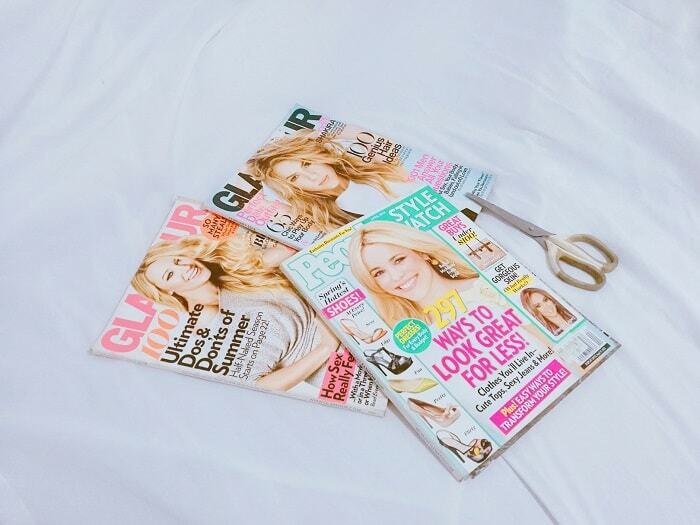 I’ve got these old issue of Glamour Magazine (gosh these magazine helps me a lot to gain my writing angles, but sadly I got to get rid of them to save spaces). Then you need some scotch tape and double sided tape, plus pairs of scissors. First, peel those pages and fold it verticals with alternate folds just like above. 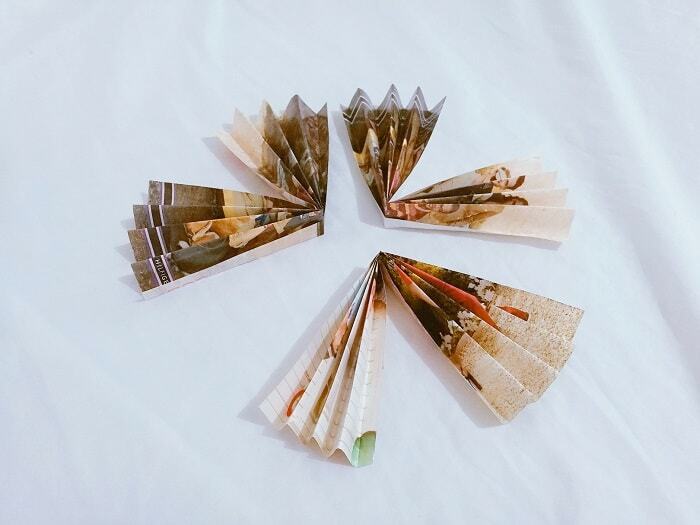 Then fold the pages in the half just like this above photo. In order to make one circular paper, you need three paper folds. Connect the three folded papers using the scotch tapes, to secure them together. 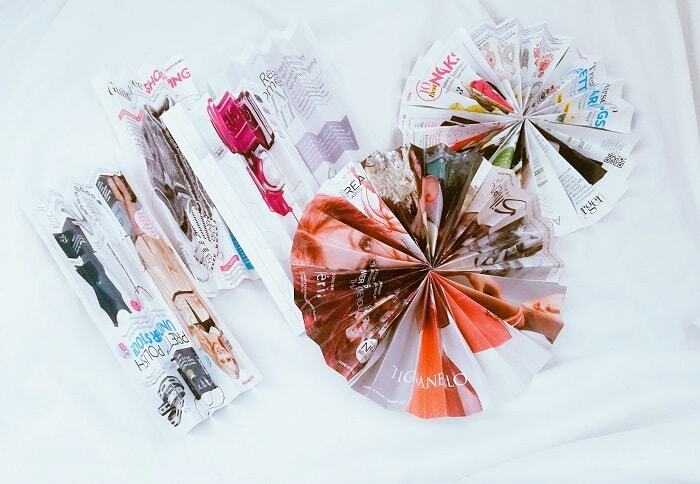 Then continue making these circular folded papers as many as you like. 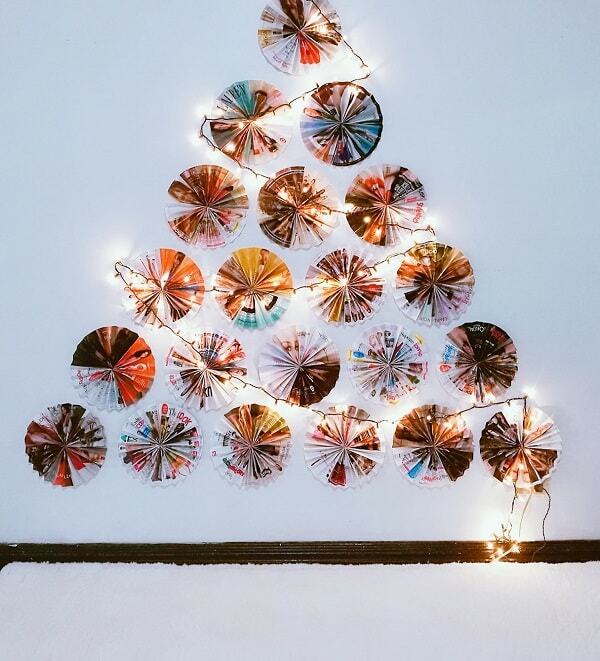 Depending on the size of wall Christmas tree you wish to create, the number of pieces you need to finish. Here's the wall I need to fill in! 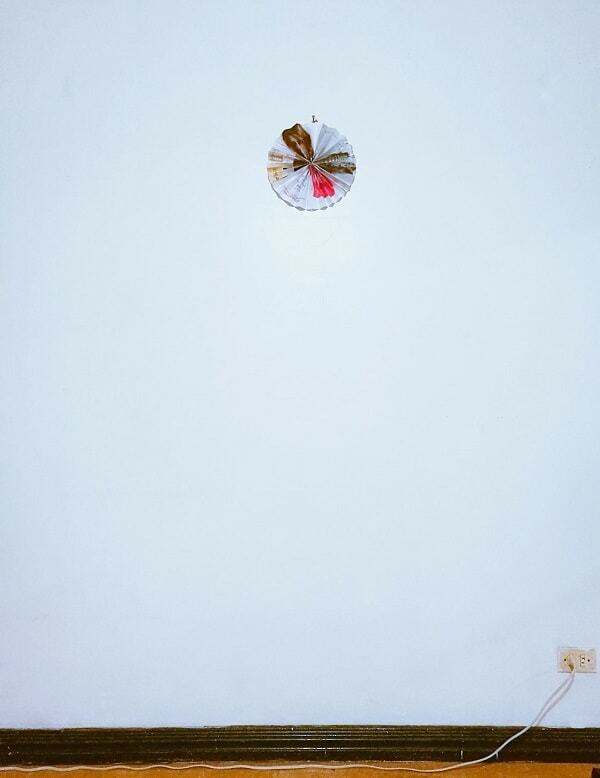 Using your double-sided tape, stick these papers to your bare wall. 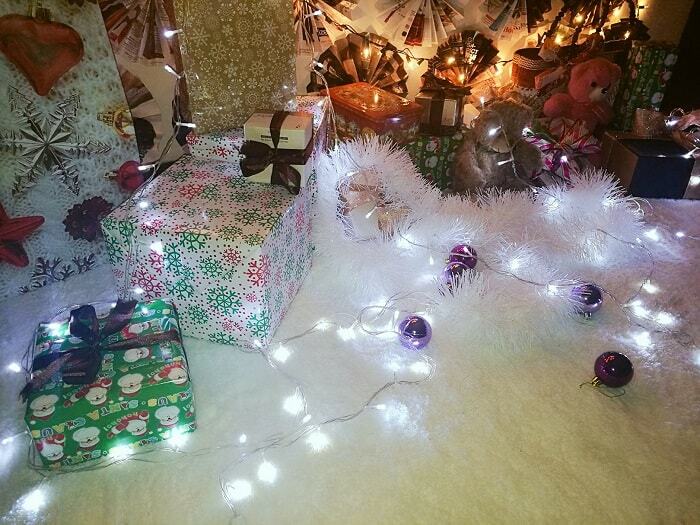 If you want some little sparkly, add your fairy lights on your wall paper Christmas tree. I’ve also placed this fluffy white carpet, which was a gift from our friends from Showcase Carpet! Then stock all your gifts below your wall paper Christmas tree and viola! Isn’t it so cute and eco-friendly?! 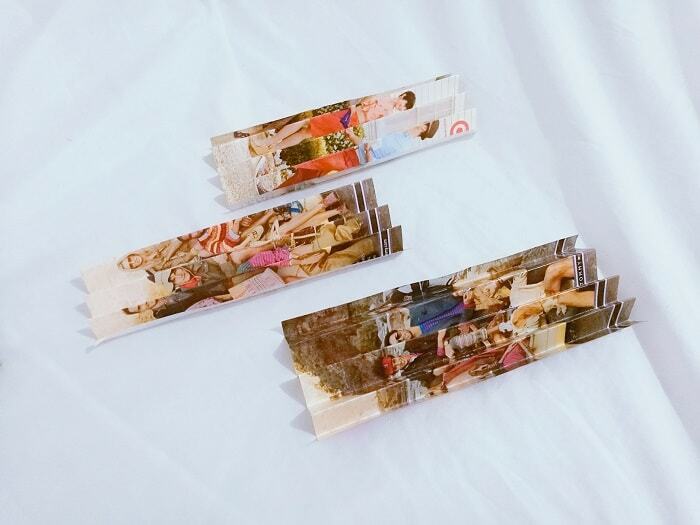 I had to much fun in doing this DIY, and I decided to make this as my photo backdrop! Am also seriously couldn’t get over how soft and fluffy my white carpet! If you are interested, you may check Showcase Carpet branches for sizes and colors available. Why buy new Christmas tree if you can make one that is cost efficient and space savvy?! 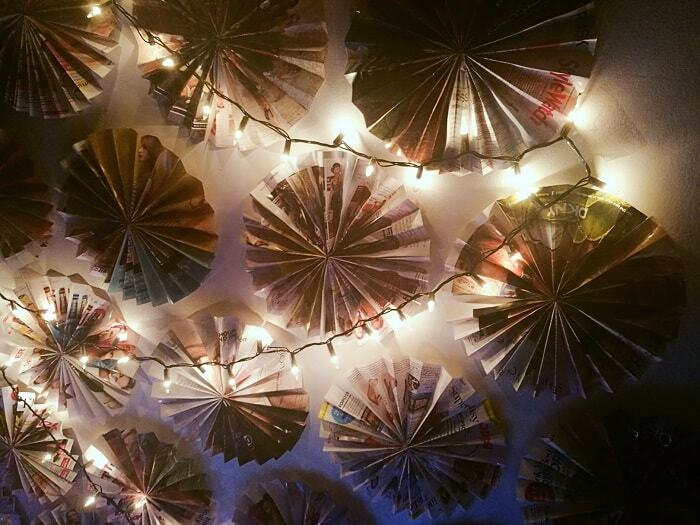 Plus, it is lovely to recycle things especially this holiday season. If you like this latest DIY, please don’t forget to share it to your friends and family! 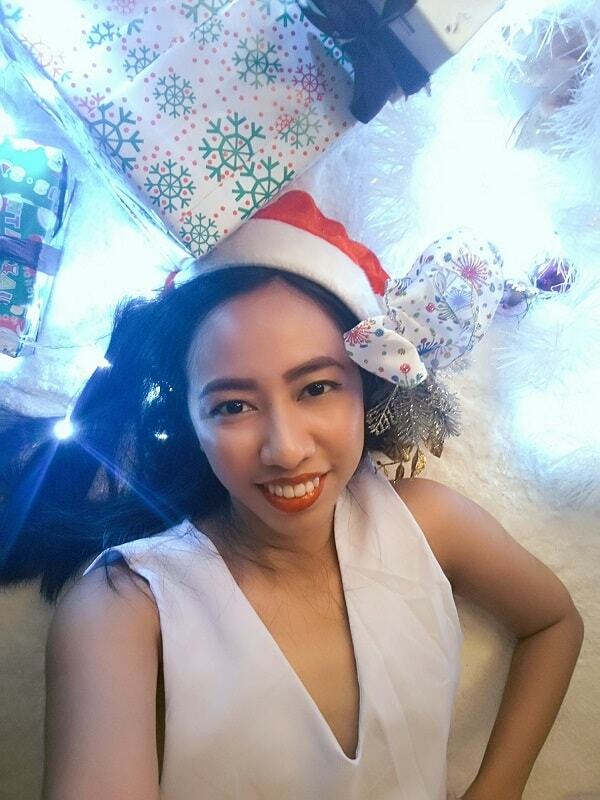 Also check my other Christmas DIY here! Now time to get nifty and crafty! My Dear! this is super creative. 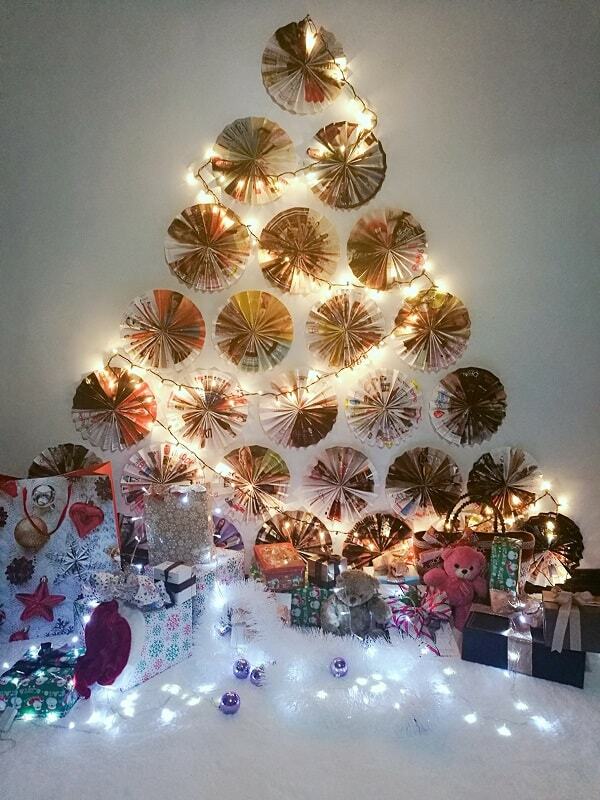 I can say that this turn out to be unique and beautiful Christmas tree. Love it! 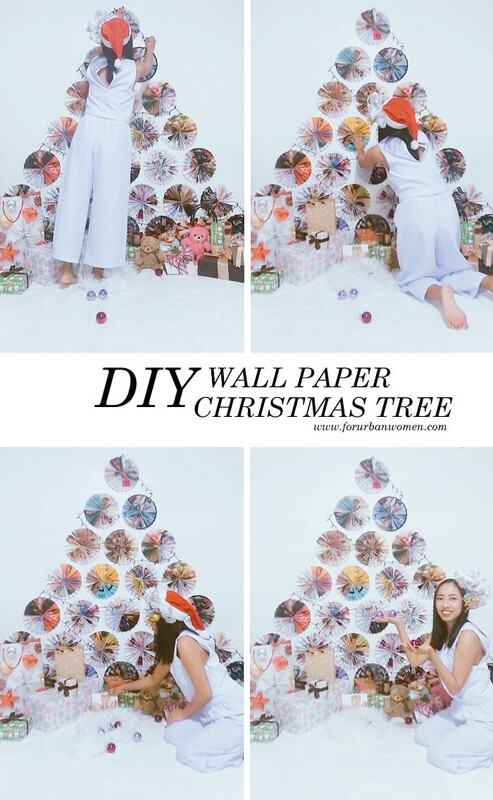 Oh I love the idea of this Wall paper Christmas Tree, Very Creative. Would love to try this with my kids. Thank you Shub! You can also make any designs, and its cost-effective. You are so creative, what more can I say? Why didn't anyone think of this? I threw away all my old magazines recently. And now I have to buy a new tree. Huhuhu! ohhh you must save your magazines! Hahaha thank you Hanny! 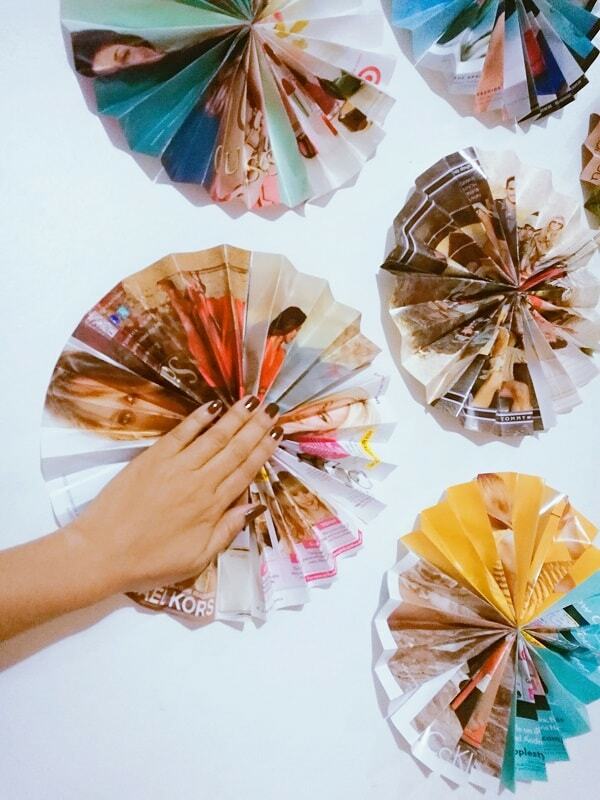 I've got use my old fashion magazines circa 2013.
it simple, nice & creative. Love it. Tq for sharing. Wow this is so cool! 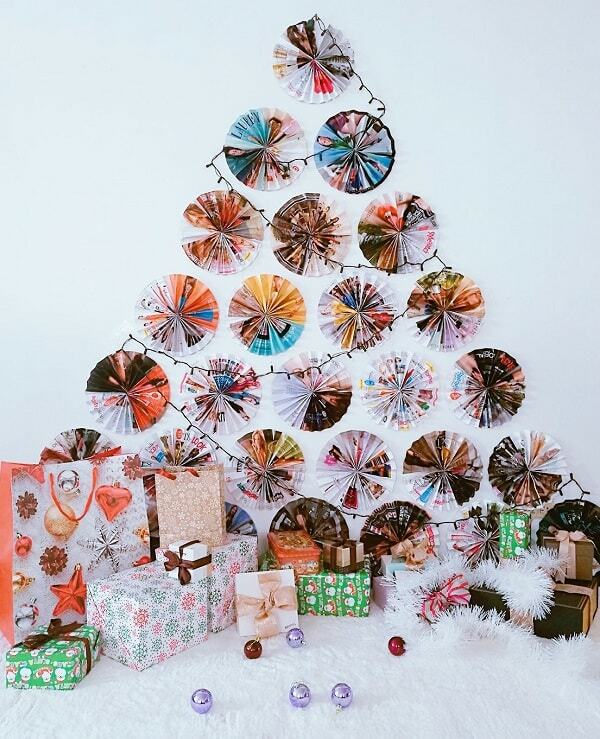 Can recycle the magazines for xmas tree, very creative. Yes, and you can also make this as your pictorial backdrop :D Cost effective!